One of the most common -and costly- construction and remodeling issues faced today is flooring failure due to moisture and alkalinity. Many construction projects are fast-tracked, leaving less time for concrete slabs to dry, pushing relative humidity or RH levels too high for a floor to maintain its integrity. In addition, curing, sealing or bond-breaking compounds currently used in concrete slab construction inhibit the free release of moisture. All of these factors can cause flooring systems to blister, bubble and curl, or adhesive bonds to fail months or even years later. These moisture-related conditions can also produce trip hazards, the tendency for mold and an unsightly appearance of the floor and, as a result, the entire facility. Surface Solutions expert consultants will perform the necessary moisture testing to concrete substrate before any installation, to determine if a moisture mitigation system is required. 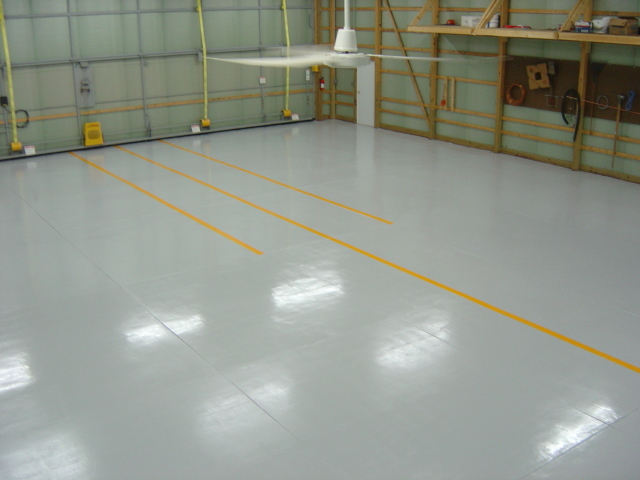 The moisture mitigation flooring from Surface Solutions is designed to reduce the moisture vapor transmission levels created from the out gassing of concrete slabs, allowing for the installation of most adhesives, industrial flooring systems and coatings. Surface Solutions provides expert consultation and installation, and a full line of moisture mitigating flooring solutions in addition to other industrial flooring systems. We are committed to 100% customer satisfaction on every project.